Rüsselsheim. Less than one year after the start of sales, #Opel has already taken more than 100,000 orders for the new #insignia from all over Europe. Manufactured at the Rüsselsheim plant in Germany, the new #insignia flagship is available as the Grand Sport limousine, the Sports Tourer estate and the all-wheel drive Country Tourer estate, in trim levels ranging from the already highly equipped Selection to the top-of-the-line Ultimate Exclusive. The new #insignia model line-up is crowned by the dynamic GSi – a sports-machine for those who like something special, a driver’s car for maximum fun on all kinds of roads. The new #insignia is powered by a portfolio of turbocharged, four-cylinder, diesel and gasoline engines from 1.5 to 2.0-litres in displacement, combined with a choice of six-speed manual or six and eight-speed automatic transmissions. The most powerful diesel and gasoline engines are also offered with innovative torque vectoring all-wheel drive. The new #insignia is extremely attractive for both private as well as fleet customers – it most recently picked up the “Company Car Today CCT100” award (Company Car Today) in the United Kingdom. Buyers not only benefit from numerous state-of-the-art technologies such as adaptive cruise control (which automatically adjusts the speed to follow the vehicle in front according to the selected following distance), IntelliLux LED matrix headlights (which automatically adapt to every traffic situation) and ergonomic seats certified by the back-specialists from Aktion Gesunder Rücken e. V. The new #insignia also offers moderate cost of ownership compared with its competitors in the high-volume and premium segments. Nine in ten of the new #insignia cars ordered so far come with the optional Navi 900 IntelliLink top-of-the-range infotainment system. The integrated navigation system features an eight-inch capacitive colour touchscreen. Navi 900 IntelliLink is compatible with Apple CarPlay and Android #auto, thus bringing the world of smartphones into the car. If OnStar is on board, smartphones can also connect to the car’s powerful 4G/LTE Wi-Fi Hotspot – for example for flawless online audio streaming. The popularity of the new #insignia in the marketplace is matched by its success in the international media. 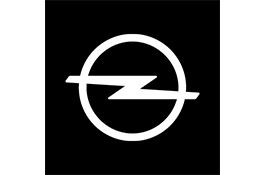 The new #Opel flagship has won prestigious awards from authoritative publications such as the “Golden Steering Wheel” 2017 in Poland (Auto Swiat) and Slovenia (Auto Bild) as well as “Best Car 2017” (Fleet Cars & Vans, Fleet #auto Premium) in Poland and “Fleet News of the Year” (FLEET Magazine) in the Czech Republic. The new #insignia has also proved its mettle against tough competition in comparison tests carried out by #automotive magazines across Europe. To date, the #insignia has won 23 of 40 comparison tests: four wins in Germany (Autostraßenverkehr July 26 and September 20, Auto Zeitung July 26, Auto Bild August 4); three wins in the Netherlands (AutoWeek 29/17 and online July 21, AutoVisie July 6) and the Czech Republic (auto.cz September 29, AutoTIP October 2, auto motor und sport October 17); two in Portugal (Auto Hoje August 24, Auto Foco December 21), Belgium (Le Moniteur Automobile November 27, AutoWereld December 1), Poland (Auto Świat July 10 and July 17), Sweden (Teknikens Värld August 27, Vi Bilägare January 2018),and the United Kingdom (What Car? August 4, Auto Express January 17, 2018); and one each in France (caradisiac.com), Slovakia (auto motor und sport October 10) and Norway (Motor November 4).